To minimize the danger of accidents and injuries in the kitchen, we’re showing you this very simple trick. 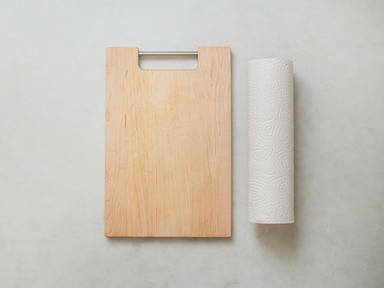 Using a wet towel, you can fix your cutting board so that it stays put while chopping, mincing, and slicing. See the video for detailed instructions!